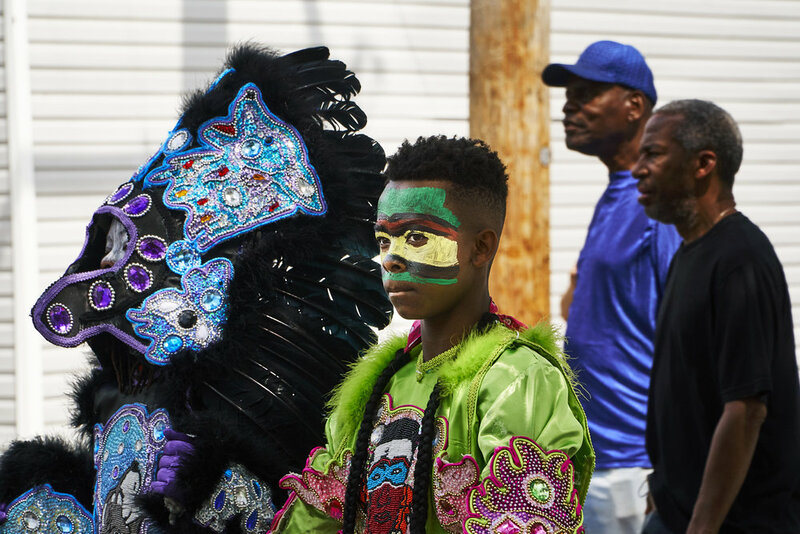 This past Sunday, Uptown was treated a gathering of Mardi Gras Indians called Super Sunday. If you don't know what it is, it's a tradition that dates back to 1880. It's passed down from generation to generation of boys and girls who begin learning the tradition at a very young age. 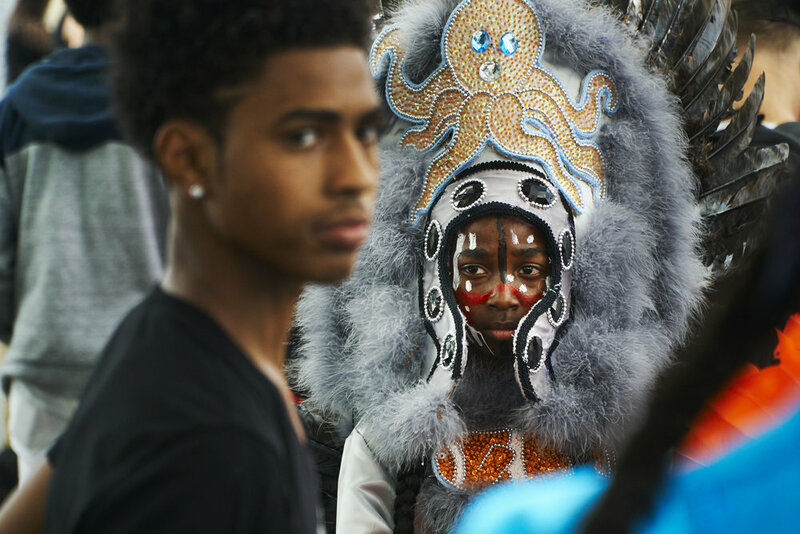 You can read more about Mardi Gras Indians HERE. I tended to focus myself on the young men, wondering what it was like to have this over-century old tradition passed onto me. There wasn't a baton passed to me when I was a kid. We played baseball, war and video games so I'm intrigued by the path of a young man or woman becoming a Mardi Gras Indian. I wanted to get a story, or at least the foundation of one that I could continue in the years to come.